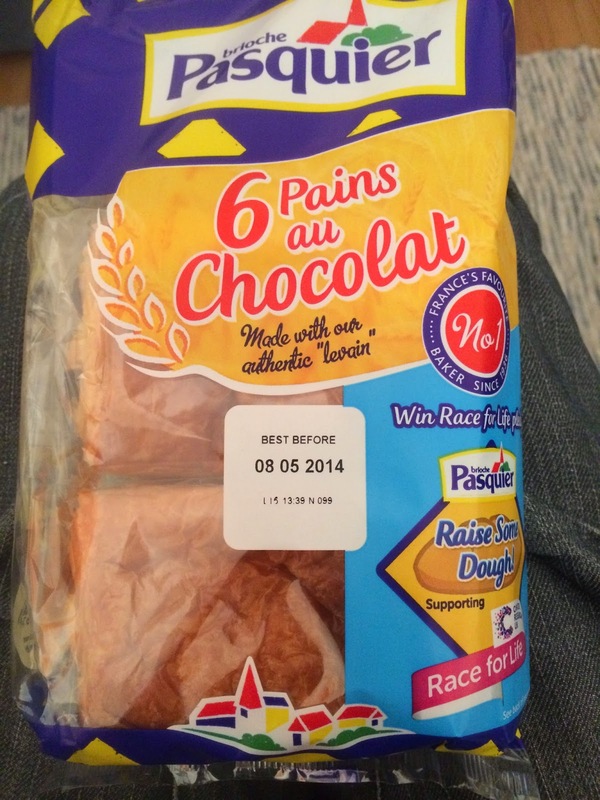 Way back in 2011 I discovered an odd French brand of snack sized breads in the local Co-Op and have been an infrequent buyer ever since. 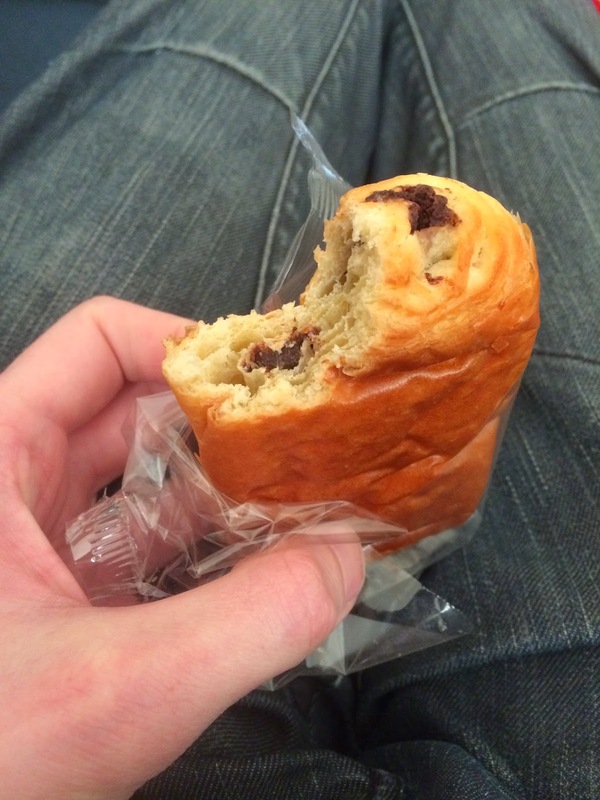 The company decided that they'd like to send us a few so I suggested from their list that I'd try the pain au chocolate. On the surface this doesn't seem like a normal choice - I eat a decent amount of p-a-c so its not like it's a new experience - but usually this is from the patisserie counter (for cinema snacks) or one of those bake at home jobs. I don't think that individually packaged p-a-c ever really appealed to me - I'd rather just go for the soft bready brioche and get the store bakery for the crispy pastries. Here we see that the pastry is pretty flaky and has a decent amount of air in it - something I was worried would not happen. Naturally the chocolate is decently sized and like the other Pasquier products is strong enough to suit but also of a good quality. I think that it is softer than a fresh baked version would be and doesn't quite explode in the lovely shower of flakes that I adore, but then an individually packaged one of those would just be a bag of flakes when you came to eat it. This then is a compromise of sorts, but not one that I am disappointed with. Knowing the quality of the sweet bread rolls that I like as a treat, and what makes a good p-a-c I kinda thought that it would be along these lines. The texture is much softer than it could be but the flavour is still there. I'm very tempted to pop one of these in the oven next time I turn it on and see if I can crisp it up a little, but I'm happy to say I can take the rest of these to work and have a very welcome afternoon treat.